WENGEN, Switzerland (AP) — For a skiing event that risks losing its Olympic status next month, Alpine combined put on a good show Friday. 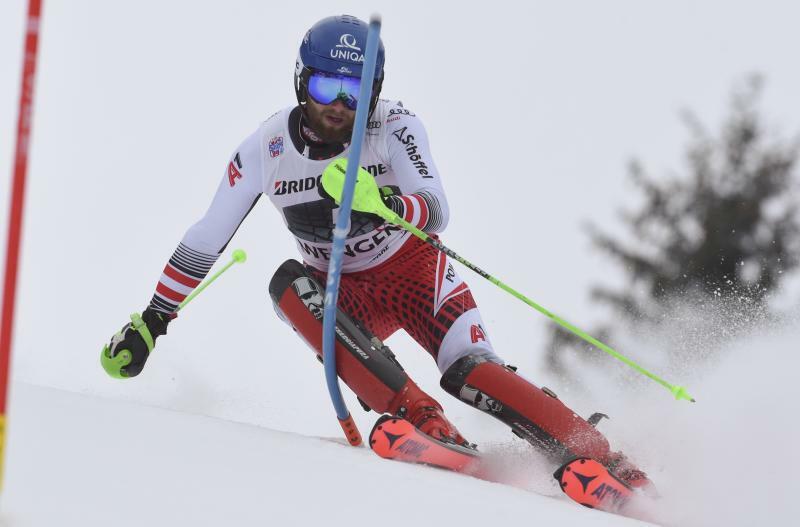 Marco Schwarz won the men's World Cup race watched by 18,000 spectators at storied Wengen, using a solid downhill run to retain his first-leg advantage in slalom. Schwarz was 0.42 seconds ahead of Victor Muffat-Jeandet, the 2018 Olympic bronze medalist in combined. Games silver medalist Alexis Pinturault was third, 1.12 behind the winner. Alpine combined's place in the sport is under threat at the world championships in Sweden next month. There in Are, the International Ski Federation could decide to replace an event that gave Bode Miller his only Olympic gold medal with parallel slalom racing at future Games and world championships. That would also signal an end on the World Cup circuit for Alpine skiing's original Olympic event, which was introduced at the 1936 Winter Games. It could still suit the 23-year-old Schwarz, who got his first World Cup win on New Year's Day in the parallel format in Oslo. He is having a breakout year after previously being one of Austria's top teenage prospects. He was a three-time gold medalist at the 2012 Winter Youth Olympics in Innsbruck, and two years later a junior world champion in super-G. Despite his talent for speed, and fourth place in combined at the 2018 Pyeongchang Olympics, Schwarz focuses on technical gate events — slalom and giant slalom — in the World Cup. He was runner-up in slalom in Madonna di Campiglio, Italy, last month, then wasted a first-run lead in slaloms in Zagreb and Adelboden by straddling gates. "I didn't think so much about them, where I pushed the limits and it was a bit too much," Schwarz said. Both of those failures came when he was chasing a target time posted by the world's best skier, Marcel Hirscher, who is also Olympic champion in combined. 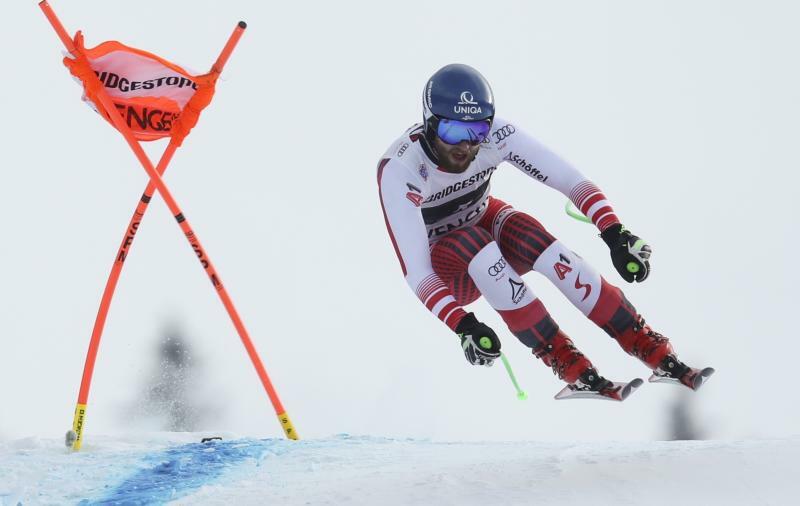 Hirscher skipped Friday's race to focus on the slalom on Sunday. The 2019 worlds could be a swansong for combined in favor of television-friendly parallel racing. The battle is not over, according to Muffat-Jeandet, who said parallel racing has disappointed ski officials who supported its development. "A lot of nations are coming back on what they think," Muffat-Jeandet said. "For me, it (combined) is the history of skiing." The classic combined — adding times in downhill and slalom to find the best all-around skier — has a long tradition and debuted at the 1936 Garmisch-Partenkirchen Olympics. It was revived at the 1988 Calgary Winter Games and provided Americans Ted Ligety, in 2006, with his first Olympic gold medal and Miller, in 2010, with his only Olympic title. Wengen has been a mainstay of combined in the World Cup — both Miller and Ligety won races here — though only two are scheduled this season. The other is in Bansko, Bulgaria, next month. The Wengen organizing committee president, Urs Naepflin, told coaches Friday it was sad this was probably the last combined race his team would stage. "Maybe there is a little, little, little chance that we can keep this discipline. It belongs to the Lauberhorn," Naepflin said, using the name of the weekend meeting now in its 89th year. The combined format was flipped on Friday by race organizers, who ran the slalom leg first. This created time for clouds to clear before a downhill run under blue skies and sunshine, and allowed course workers to clear overnight snowfall from the hill. More sunshine is forecast Saturday for the classic Lauberhorn downhill that is the signature day in Switzerland's sports calendar.